Want something a little out of this world? 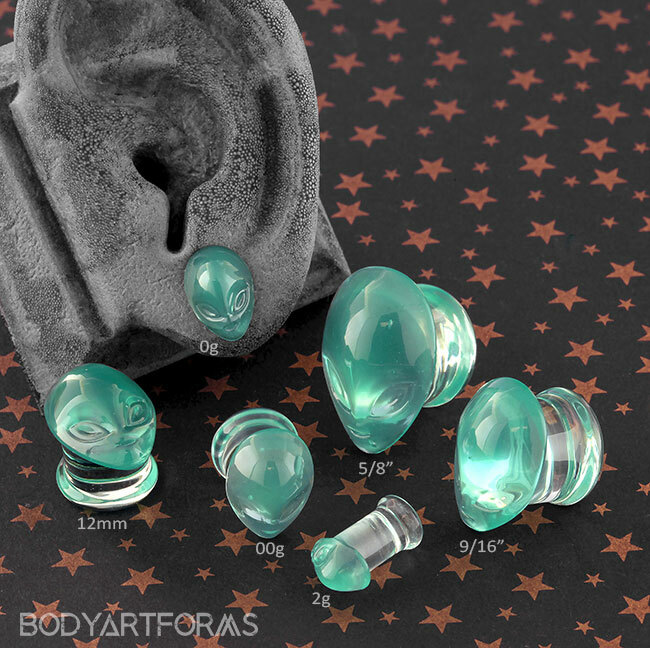 Then these extra terrestrial alien head glass plugs, with their eerie green color, are perfect for you! The back flares measure 1mm to 1.5mm larger than the gauge size.